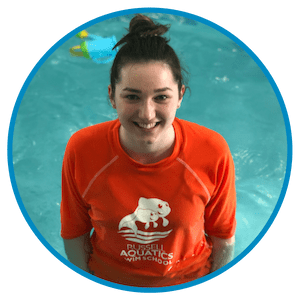 Russell Aquatics was founded by Kerri & Kristi Russell in 2004 as a children’s summer backyard swim school in Markham, Ontario. It was established with the assistance of the Government of Ontario’s “Summer Company” initiative. The hands-on coaching and mentoring from local community business leaders made a large contribution to the company’s initial and ongoing success. Russell Aquatics has steadily grown over the past decade. In the fall of 2011, Russell Aquatics began offering all-season lessons at the Cochrane indoor location. As of April 2018, Russell Aquatics will open their first custom built indoor swim facility at 66 Copper Creek Drive, Markham. Hi!  I’m Kerri Russell-Channer owner & founder of Russell Aquatics Swim School. From as early as I can remember, swimming has always been a huge part of my life. 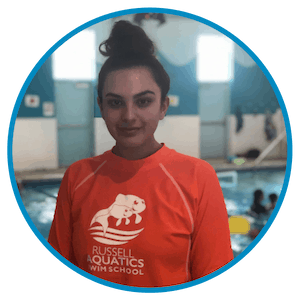 I swam competitively with Markham Aquatic Club for 6 years and then started volunteering teaching special needs children how to swim at the young age of 12. 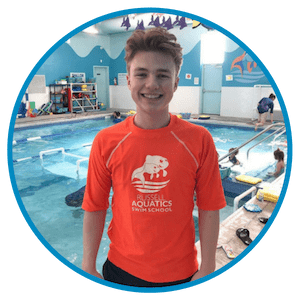 At the age of 17, I started Russell Aquatics from my parents’ backyard pool in Markham, teaching neighborhood children how to swim. 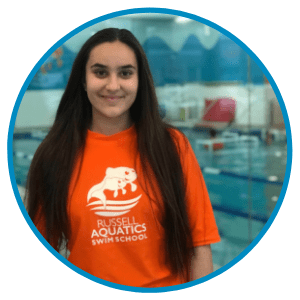 After attaining my Early Childhood Education Degree from Ryerson University and my Bachelor of Education degree from York University, I decided to take the leap and expand Russell Aquatics into a full time, year-round business. For over a decade now, I have owned and operated Russell Aquatics with my sister, Kristi. Kristi & I feel incredibly blessed to have created such an amazing team that are devoted and love Russell Aquatics as much as we do. Our growth and success is hugely attributed to our fabulous team and amazing clients that have been committed to the Russell Aquatics Family since the beginning. When I am not at the pool you will find me with my wonderful family! I have two young children, Liv and Tye who have brought a whole new happiness to my life that I couldn’t have ever imagined. We are an active family and love to spend time outdoors with our dog Kevin! We are also a family that LOVE to travel! Teaching kids of all ages and watching them grow as confident swimmers has been and will continue to be one of the most rewarding things in my life. I look forward to seeing you at the pool! Hi, I’m Kristi Russell! Swimming has always been such a huge part of my life, swimming competitively with the Markham Aquatic Club for 7 years. I attended Guelph University where I completed my degree in Business Commerce. I enjoy working with children and adults, teaching them this incredibly important life skill and watching their confidence in the water grow. When I am not at the pool, you may find me chasing my little guy Austin around the park. See you at the pool! Hi I’m Cassidy Romain! 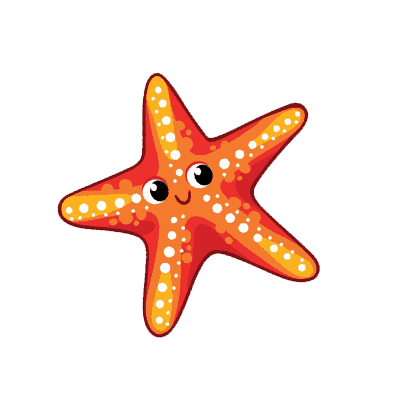 I am the General Manager at Russell Aquatics Swim School!  I have been swimming since before I can remember and have been working in aquatics for over 11 years! 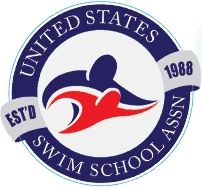 I love working with our parent and tot and preschool swimmers and you will often find me teaching and training our future lifegaurds and instructors! I attended Brock University and Niagara College where I took courses in Kinesiology as well as Nursing! When I’m not at the pool, I am an avid sports fan and love to spend time with my boyfriend, Justin and my little dog, Bear! I can’t wait to see all our little fish at the pool! 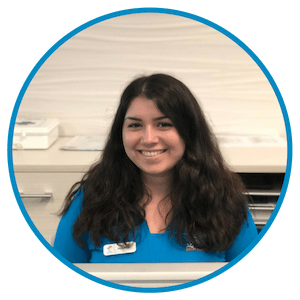 Hello, my name is Angelina and I am the Aquatic Manager and Trainer at Russell Aquatics! I have been with Russell Aquatics since I was a little kid and they taught me everything I know about swimming! I have now been working here as an instructor, supervisor, and part of the management team working hard to grow Russell Aquatics. My favourite part about being part of the Russell Team is watching all your swimmers become strong and confident in the water while learning an important life skill. I love to spend time with my family and friends and I am on my way to becoming a teacher. Be sure to say hello at the pool! Hi my name is Paul Collie and I am a Supervisor at Russel Aquatics Swim School! 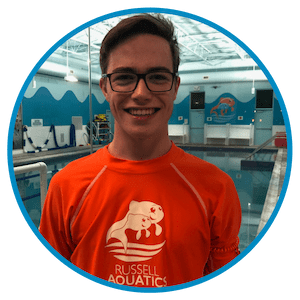 I have been swimming since I could walk and I am approaching my first full year working at Russell Aquatics!! My favourite levels to teach are patrols and bronze courses, but you’ll usually see me with the little ones as the chief of happiness helping them to enjoy lessons even more! In my free time I love to play hockey and follow Toronto sports teams. I’m also an okay cook, that is if you like Kraft Dinner and burnt toast! I hope to see you at the pool soon. Hi I’m Sarah! I am a Supervisor here at Russell Aquatics! Swimming has always been my passion so to be able to teach it is amazing and so rewarding! I have been working at Russell Aquatics for 3 years and absolutely love it! I love seeing the kids smile and seeing them become more confident in the water. Swimming is a great life skill and has taught me so much over the years. If I’m not at the pool I’m probably spending time with my family and friends or playing with my dog outside. I hope to see you at the pool soon! Hi my name is Nicholas, I am a Supervisor at Russell Aquatics for about 3 months. I’ve taught swimming for about a year, I’ve loved the environment and the people I work with. I have been swimming ever since I was 6, from swimming lessons to competitive swimming for mallards. My favourite subject in school is Chemistry and Physics and I hope to be a nanotechnology engineer in the future. I have three awesome sisters named Ashley, Kristyn and Leah and a special girl friend named Aliya who keep my days busy. If I’m not at the pool, I’m either at the library or playing some fortnite. Hi! 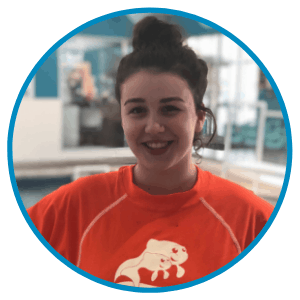 I’m Christina Schirripa and I’m one of the Lead Instructors at Russell Aquatics! I have been swimming since I was a baby and I have been instructing for 3 years. 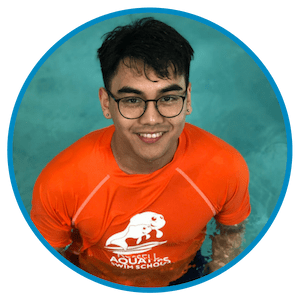 When I was 5, I began taking swimming lessons with Russell Aquatics at the backyard pool and I have loved swimming ever since! 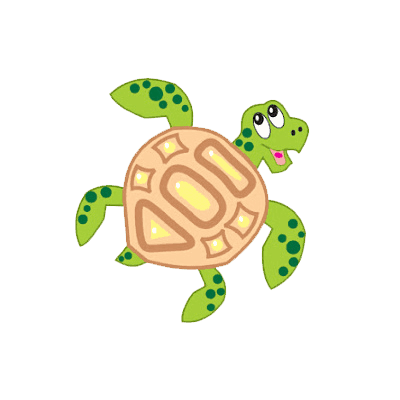 At the pool, you’ll see me working with our little ones as well as training our bronze students in first aid. I am currently a grade 11 student at St. Brother Andre and I hope to go to university to study medicine or law. On my free time, I enjoy listening to music and hanging out with my friends and family. See you at the pool! 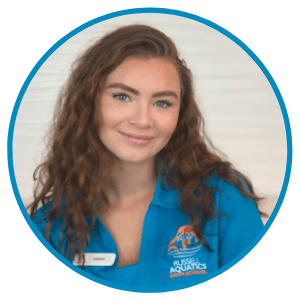 Hi I’m Mackenzie Guillard and I’m a Lead Instructor / Supervisor at Russell Aquatics. I started as a swimmer here at Russell when I was 10 years old and learned to love swimming! I have been teaching with Russell for 3 years now. My favourite part about coming to work is helping children progress in the water while having a ton of fun at the same time. In my spare time I enjoy spending time with friends and family. See you at the pool! Hi! 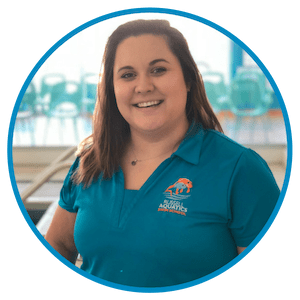 I’m Victoria, a Supervisor and Lead Instructor at Russell Aquatics Swim School! I’ve been working at Russell Aquatics for 3 years, and I’m living proof that a child will come to appreciate swimming lessons, even if they don’t enjoy them at first. Teaching kids has become an unexpected joy of mine and I love seeing our students progress through the swim program! When I’m not in the water, you can probably find me watching Marvel movies or trying to teach myself how to play the guitar (if you have any tips, please share!). Hope to see you soon! 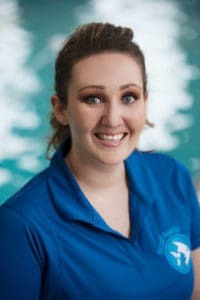 Hi my name is Colleen, a Lead Instructor at Russell Aquatics. Although I am one of Russell’s newest employees I have 20 years experience in the aquatics industry. 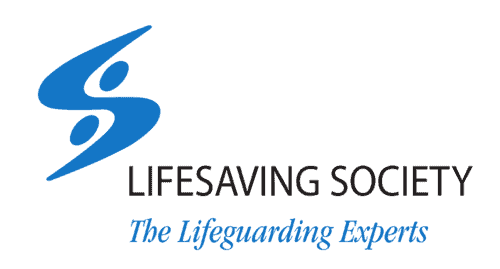 My aquatics career started as an Aquafit instructor and has evolved into, lifeguard, swim instructor and pre/post rehabilitation specialist. I’m so excited to be a part of the Russell team. 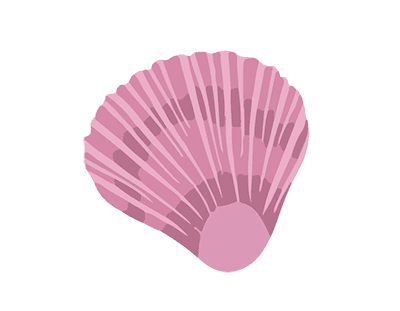 I particularly love teaching beginner adults. My speciality is building trust in swimmers to encourage their confidence in the water. If you can make the commitment I will help you achieve your swimming goals! As a side note I’ve been married for 28 years and have 3 sons aged 20, 23 and 25. 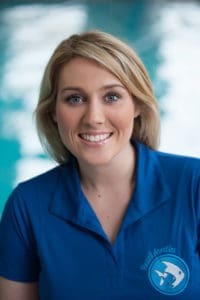 I’m thrilled to be a part of the Russell Aquatics family and hope you take the opportunity to introduce yourself to me! Hi, I’m Alan Russell and you will find my smiling face at the front desk of our Boxgrove facility. More importantly, I am the proud father of our owners, Kerri and Kristi. For 14 years, each summer, my wife, Bev and I shared our backyard pool with the wonderful children learning to swim at Russell Aquatics. As I reflect back on the early years of the company, I can now sincerely appreciate the truly wonderful learning environment that our pool provided. 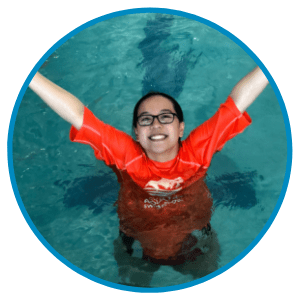 As the girls have now achieved with their first permanent location, the backyard pool was a warm and welcoming environment where children were introduced to swimming by a team of caring and professional instructors. Over the years, I have met and spoken with many thoughtful parents who trusted us with the instruction and safety of their children. Although, I must admit that most of those conversations used to take place as I was preparing dinner on the barbeque. A number of those early students are now vital members of the staff and hold most of the leadership positions at the pool. In retirement, I have been truly blessed that my daughters have included me in the operation of their swim school. Being the “old proud guy” at the pool, please have patience with me if at times, today’s technology somewhat overwhelms me. Make sure that you say hi the next time you’re at the pool. Hi! 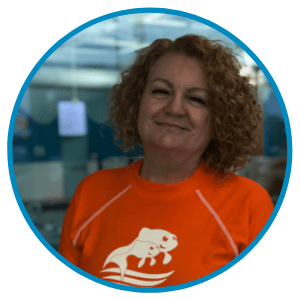 I’m Desiree, Customer Service Representative & Administrator at Russell Aquatics. After spending plenty of time as an instructor and supervisor here, it’s been so much fun to return in a new role and see all the familiar faces! Russell Aquatics is truly a family; one that I’ve been ecstatic to be a part of for over four years. 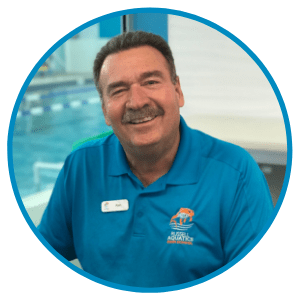 I love having the opportunity to extend the Russell Aquatics experience beyond the pool – it’s a great feeling to help make someone’s day better or easier, even in the smallest ways like finding that last spot in a class or giving a child an extra confidence boost. When I’m not here, you’ll probably find me at Ryerson University, where I’m in my last year of Creative Industries, or at a concert! Hope to help you at the front desk soon! Hi my name is Erik! I am a Supervisor here at Russell Aquatics. I have been swimming since I was 4 years old. I started working at Russell aquatics last fall. My favourite part about teaching swimming lessons is being able to interact with kids and teach them a valuable life skill of swimming. If I’m not at the pool you’ll see me playing guitar or playing sports. Hope to see you soon. Hi! 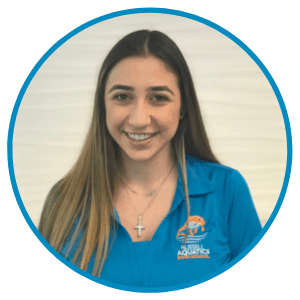 I’m Nicole Rocha and I’m a Lead Instructor here at Russell Aquatics. I have been working here for 3 years now, but I have been apart of the Russell Family since way back. Kerri and Kristi taught me in their backyard pool from the age of 3, and I have loved swimming ever since! Working at Russell is the most rewarding job! I get to teach many kids the life skill of swimming while having lots of fun! I love seeing the children progress and reach their personal goals. When I’m not at the pool I enjoy listening to music and spending time with my family and friends. I hope to see you at the pool soon! 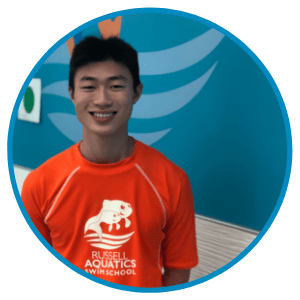 Hi, my name is Vincent, I’m the Co-Coach of the Swim Team here at Russell Aquatics as well as a Supervisor and one of the Bronze Instructors! I’ve worked here for over a year now and have enjoyed every minute of it. Being a Swim Instructor has taught me so many new things and I’m still learning with each lesson. I enjoy teaching all levels but I love to make creative sets and workouts to push our swimmers in the older levels. Find me at the pool and be sure to say hi!